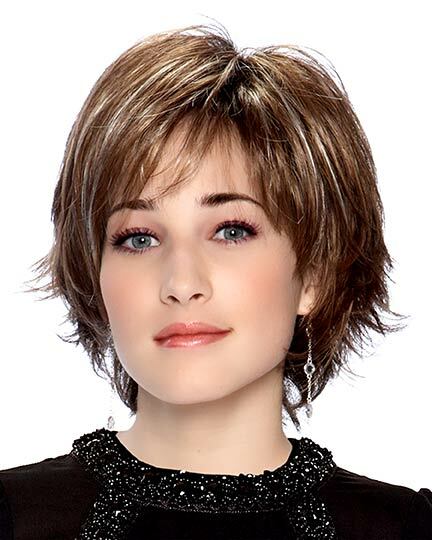 Fringe: 5.25", Crown: 5.25", Nape: 3.5"
Aria, designed by Noriko Suzuki for TressAllure Wigs, is a snappy, short wig with wispy bangs and flipped out layered ends that give a breezy look. In a rush, you can just run your fingers through the layers of Aria and you're ready to go. 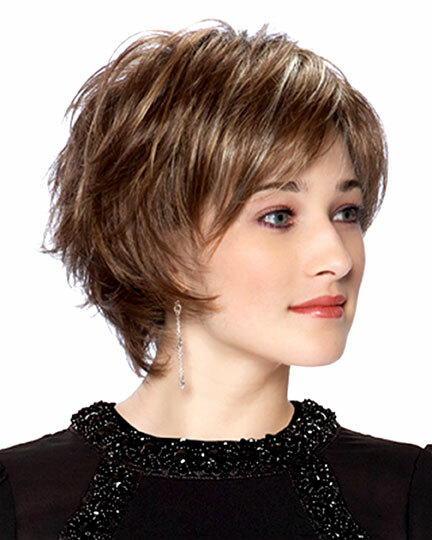 Tressallure Aria features a standard weft cap construction with djustable straps (no Velcro) to tighten or loosen the cap size for all day wearing comfort. The second color way shown for Aria is Dark-Amber-HL. The third color way shown for Aria is Deep-Forest. The Aria wig weighs 73.7 grams. There are 24 colors available for Aria.